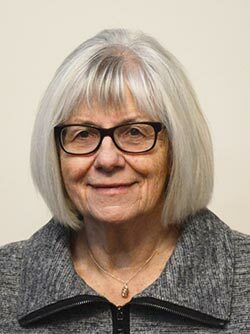 Dr. Alice Collins is Professor Emeritus and former Dean of the Faculty of Education, Memorial University. 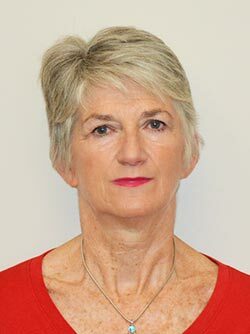 She has served as the President of the Canadian Association of Deans of Education; President of the Canadian Society for the Study of Education; President of the Canadian Association of Teacher Education; and, Director of the Social Sciences and Humanities Council of Canada. Dr. Collins has worked on curriculum outcomes and teacher education policy with the Department of Education and Early Childhood Development; on leadership theory and practice with the province's school districts; on teacher professional development with the Newfoundland and Labrador Teachers' Association; and, on parental involvement and governance with the Newfoundland and Labrador Federation of School Councils. Dr. Collins has conducted research in the areas of teacher education and school governance. She has taught in the public school system in Newfoundland and Labrador, and Ontario, as well as in graduate and undergraduate programs at Memorial University St. John's and Grenfell Campuses. She has also been involved in development work at the University of Jakarta, Indonesia. Dr. Collins is the recipient of the Herbert Coutts Distinguished Service Award for Outstanding Service to the Canadian Society for the Study of Education and the Festival 500 Award for Exemplary Service. She twice served as Honorary Chairperson of Education Week. Dr. Collins has been involved in the community and served on organizations such as the Board of Eastern Health; Janeway Children's Foundation; and, Johnson GEO Centre. Dr. David Philpott has enjoyed a career of more than 30 years in education and child development, and has been at the forefront of informing societal approaches to supporting families with exceptional children. 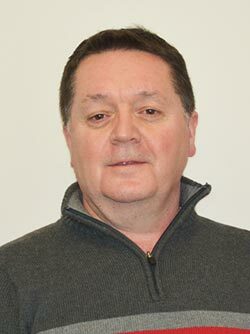 He joined Memorial University's Faculty of Education in 2000 following a 15-year career in the public education system and was promoted to Full Professor in 2011. He has worked in a range of teaching and management positions in special education, including a 25-year clinical practice in child mental health and assessment. He is an Adjunct Professor with the Faculty of Medicine at the University of Calgary and is also a certified psychotherapist with the Canadian Counseling and Psychotherapy Association. He holds degrees in Education, Special Education and Educational Psychology from Memorial University, and a Doctorate of Education from the University of Calgary. He has an extensive national and international research/publication portfolio in areas such as inclusive education, assessment, Indigenous/Aboriginal education, family empowerment, international students, early childhood education, and teacher training. He is a member of the editorial board for three international scholarly journals: International Journal of Disability, Community and Rehabilitation; Exceptionality Education International; and, International Journal for Leadership in Learning. 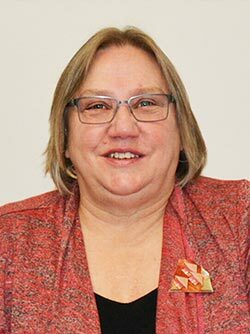 Dr. Marian Fushell is an instructor in Memorial University's Faculty of Education, and a former Assistant Deputy Minister with the Department of Education responsible for Primary, Elementary and Secondary Programs. She has expertise in program evaluation and design, as well as educational policy and practice. Working with Ministries of Education internationally and across Canada, Dr. Fushell has conducted targeted evaluations of programs and practice as well as developed evaluation and assessment frameworks. She has a deep understanding of educational issues related to early learning, inclusive education, reading, mathematics, Aboriginal education, and teacher professional learning. Dr. Fushell has extensive experience in the Kindergarten to Grade 12 education system as well as university teaching and research. She has presented at multiple national and international educational conferences and has published her research in peer-reviewed academic journals. 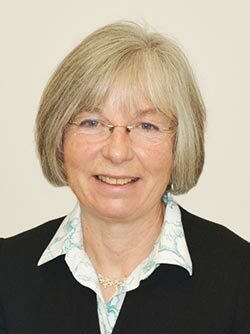 Dr. Margaret Wakeham is a native of St. John's. She holds a Bachelor of Arts, a Bachelor of Education, a Masters of Teaching, and a PhD in Educational Leadership from Memorial University. She has also studied French at Université Laval, Université de Grenoble, McGill University, and the Cégep de Jonquière. Dr. Wakeham is a career educator who has taught students of all ages both on the island and in Labrador. She has worked as a curriculum developer in Kindergarten to Grade 12 studies and participated in provincial, regional and national initiatives in education. Dr. Wakeham has served as an Assistant Principal and Principal in elementary and intermediate schools. Her most recent teaching has occurred at Memorial University. Her research in 21st century learning and leadership has resulted in journal articles, reports, and academic conference papers. Dr. Wakeham's work has permitted her to visit and observe numerous classrooms throughout the province and engage in countless discussions with novice and experienced teachers about their educational concerns. Dr. Wakeham enjoys the arts and is past president of the Kiwanis Music Festival of St. John's and a current member of the Philharmonic Choir of the Newfoundland Symphony Orchestra. 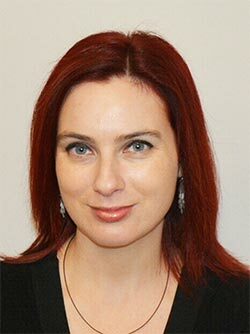 Charlotte Strong is a former teacher and has worked as a researcher and writer for a number of education policy reviews in Newfoundland and Labrador, including the Math/Science task force, the Williams Royal Commission on Education, and the Review of Special Education (Special Matters). She has also worked on a number of research projects at Memorial University, including the Youth Transition Study, the Atlantic Day Care Study, and the Effect of Unemployment on Children and Youth. Since 1997 she has worked at the Department of Education and Early Childhood Development, with varied responsibilities including strategic planning, K-12 and post-secondary indicators development and reporting, research on graduate outcomes, school development, early childhood learning, copyright policy, and liaison with the Council of Ministers of Education Canada (CMEC). Ms. Sheila Tulk-Lane is an administrative assistant with the Early Childhood Learning Division within the Department of Education and Early Childhood Development. She has previously worked with the Program Development Division of the department, as well as various divisions within Municipal and Intergovernmental Affairs (Accounting Division, Public Service Accounting Board/Gas Tax Secretariat and the Waste Management Division). Through her work she has scheduled and attended a variety of sessions around the province of Newfoundland and Labrador. Ms. Tulk-Lane has a Diploma from the College of the North Atlantic and a BA degree from Memorial University.